Facebook Messenger is the second most used mobile messaging app after WhatsApp. The chat service boasts a whopping 900 million monthly active users. As messaging app industry grows we often see new technological ideas spring. Of late two noble ideas in the names of Artificial Intelligence and privacy have emerged in the space attracting concerns from players globally. Privacy, in particular, has led to wide debates with users demanding more data security while authorities also interested in the same data to curb terrorism. Most tech companies are now deploying end-to-end encryption following Apple’s stalemate with FBI earlier this year following Bernardino attack. Several messaging clients are already encrypted which include WhatsApp, iMessage, and Telegram among countless others. The biggest problem with encryption is that it cannot go hand in hand with Artificial Intelligence services offered by emerging chatbots. The bots need to read users messages so that they can give suggestions. 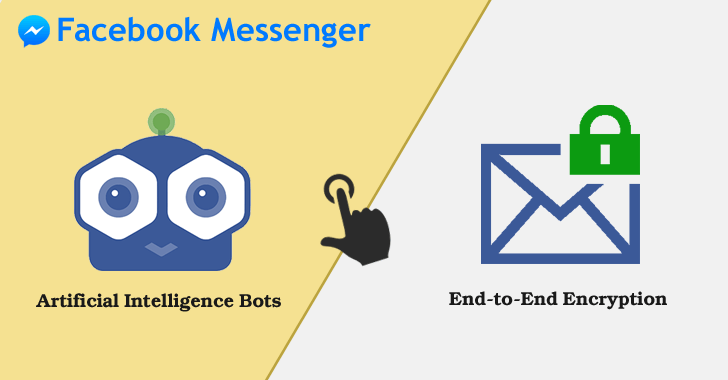 Rumors have it that Facebook Messenger will be launching opt-in encryption to balance the two. According to the latest report, Facebook will push end-to-end data encryption to its Messenger platform by the end of this year, not so long after completing a similar rollout on WhatsApp. However, with Facebook Messenger not all chats will be encrypted as in WhatsApp, instead, the security feature will be made optional, reflecting Google’s Allo. Chats within Allo are constantly read by Google’s Artificial Intelligence assistant that can carry out searches and make suggestions to offer all-in-one chat experience with ‘incognito mode’ option to switch to end-to-end encryption. In-chat smart bot and end-to-end encryption are both amazing features, unfortunately, you have to forgo one for the other. With Google’s Allo you can chat secretly under the protection of encrypted messaging protocol but you will consequently sacrifice in-chat smart bot services. Just as Allo users have been presented with a choice, Facebook users will be presented with the same privilege in the coming months when the company will be rolling out the feature on Messenger platform. As already stated, Facebook will not make the mode default as it will compromise operations of chatbots that the company is taking seriously. With end-to-end encryption as an opt-in feature you can turn it on to deny Facebook or authorities access to your private chats, only you and your recipient can decrypt what you share. On to the other option, users can toggle to switch off encryption so that chats are only encrypted during transit to allow AI to read your conversations and offer you a smart chat experience. Engineers at both Facebook and Google foresee users accepting the trade-off, favoring in-chat smart bot option over the privacy-enhancing feature, end-to-end encryption. However, not everyone subscribes to the opt-in idea but favors default end-to-end data encryption. Researcher and co-director at Open Crypto Audit Project Kenneth White has criticized the idea saying millions of people across the world need privacy as they discuss issues around their love life, politics, health and other scopes of life that call for confidentiality. Earlier Google’s text-based messaging app was criticized over security concerns. Edward Snowden – NSA whistleblower – slammed Google’s optional end-to-end encryption saying the decision is dangerous. Mr. Snowden wants the privacy feature made default across the app. In his Twitter post that has been re-tweeted more than 8000 times, Edward has urged people to avoid the chat app. Facebook declined to comment on the rumor, saying it does not respond to hearsays but did not rule out the possibility. However, with Google’s Allo already announced, it won’t be long before we see Facebook respond. I don’t think users of Facebook Messenger are particularly concerned about privacy (or else they’d be using a secure messenger like Threema or Signal by now). Nice article, btw.